In 2019, after a decade of preparing, higher education stands on a threshold. A new era of technology is ushering in myriad opportunities to apply data that supports and advances our higher ed mission. This threshold is similar to the one science stood on in the late 20th century: the prospect of employing technology to put genetic information to use meaningfully and ethically. Much in the same way, higher education must first “sequence” the data before we can apply it with any reliability or precision. Our focus in 2019, then, is to organize, standardize, and safeguard data before applying it to our most pressing priority: student success. Google has announced its plans to extend its partnership with Udacity to offer 75,000 Android scholarships for aspiring developers and data scientists seeking to pursue careers in the digital field. The initiative builds on the company’s two-year long collaboration with Udacity, which granted 1,000 and 10,000 scholarships for passionate newbie coders in 2015 and 2016, respectively. German media giant Bertelsmann will also be contributing to this effort. ANN ARBOR, MI – The University of Michigan is offering free tuition to in-state families earning up to $65,000, the university announced at its Thursday, June 15, Board of Regents meeting. UM President Mark Schlissel surprised the audience inside the Michigan Union by announcing the creation of the Go Blue Guarantee to kick off the meeting Thursday, prior to the Regents’ vote on the budget for the upcoming year. The opportunity to go to college for free is more available than ever before. States and cities, in the last year especially, have funded programs for students to go to two-year, and in some cases, four-year, schools. Tennessee has taken the idea one step further. Community college is already free for graduating high school students. Now Tennessee is first state in the country to offer community college — free of charge — to almost any adult. Republican Gov. Bill Haslam has long preached the importance of getting adults back to school. He says it’s the only way that more than half of Tennesseans will get a college degree or certificate. And the program is simple: If you don’t have a degree, and you want one, your tuition is free. I’m listing universities and colleges as some of the selected keywords/categories here as well, as such institutions will certainly be significantly impacted if this becomes a trend. Increasingly, people need to reinvent themselves in order to remain marketable and employed — and to do so as quickly and cost-effectively as possible. That’s what I want to be involved in/with. But the direction that I would like to personally pursue is the development of a next generation learning platform/paradigm/system that helps people reinvent themselves, quickly and cost-effectively. * A system that offers constant, up-to-date, curated micro-learning streams of content on a lifelong basis. Team-based efforts will leverage this platform within K-12, higher ed, as well as in corporate learning & development space. Such a system will be accessed on the road, at home, in the office, in group study spaces/learning hubs, as well as in the classrooms across the land. 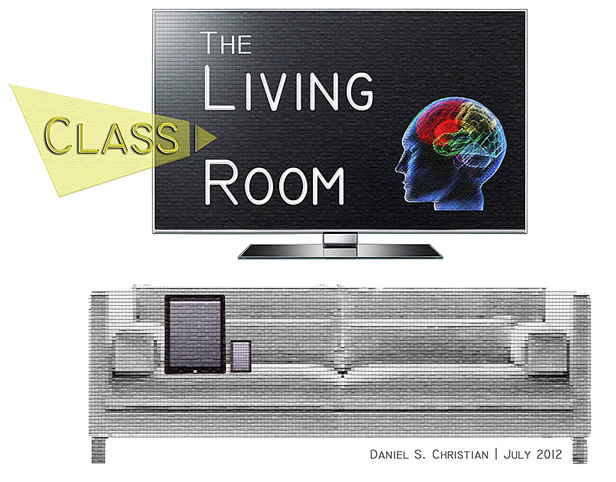 *If you or someone you know is working on a state-of-the-art, next generation learning platform, please email me at danielchristian55@gmail.com and let me know. I would greatly appreciate being involved in the development of this kind of learning platform — working on what the various pieces/tools should be and how the various features should work and interoperate. I can plug into other areas as well. Today’s trends will bring about a new vision for the traditional college campus. “Innovations in physical space must be made to accommodate demands for accessibility, flexibility and affordability,” according to The State of Higher Education in 2017, a report from professional services firm Grant Thornton. Digital technology is decoupling access to the classroom and information from any specific geographic location. Learning is becoming more “modular,” credentialing specific competencies, such as certificates and badges,, rather than the model of four years to a degree via fixed-class schedules. This requires a less broad range of academic buildings on campus. Students will engage with their coursework at their own time and pace, as they do in every other aspect of their lives. Price pressure on colleges will create incentives for cost efficiencies, discouraging the fixed-cost commitment embodied in physical structures. Deferred maintenance is a problem so large that it can’t be solved by most colleges within their available resources; the result may be reducing the physical plant footprint or just letting it deteriorate further. These developments will prompt physical space transformation that will lead to a new kind of campus. Innovative thinking will be vital to successfully moving into the future. 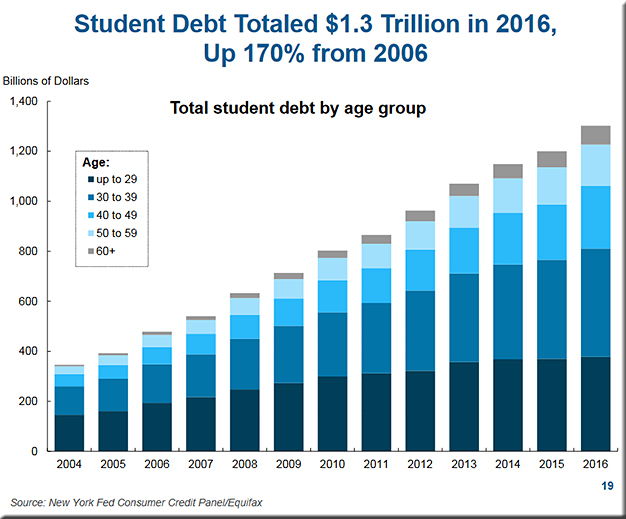 Student debt was $1.3 trillion at the end of 2016, an increase of about 170% from 2006. About 5% of the borrowers have more than $100,000 debt in 2016, but they account for about 30% of the total debt. Recent graduates with student loans leave school with about $34,000, up nearly 70% from 10 years ago. While the total level of household debt has nearly returned to the 2008 peak, debt types and borrower profiles have changed. Debt growth is now driven by non-housing sectors, and debt is held by older, more creditworthy borrowers. 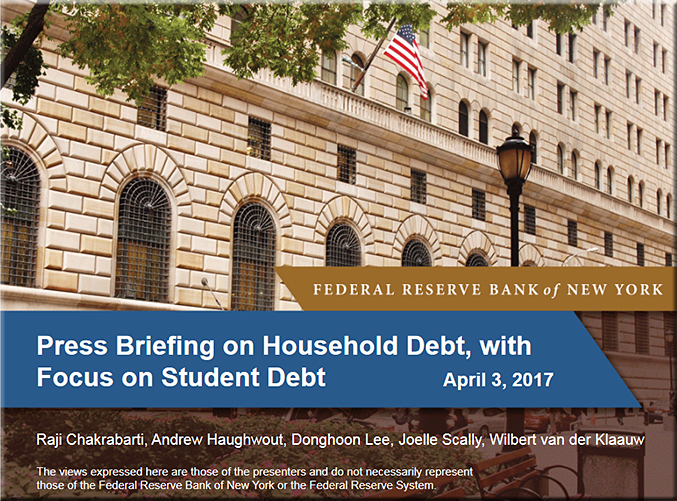 Student debt has expanded significantly because of higher levels of borrowing and slower rates of repayment. Student debt defaults peaked with the 2011 cohort and have improved somewhat since. However, payment progress has declined. 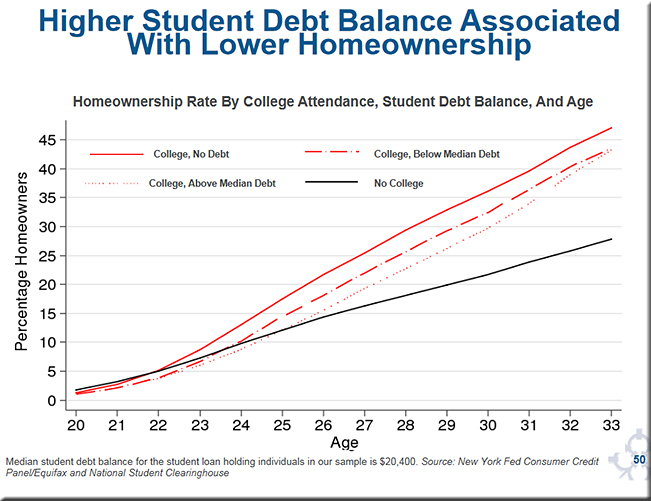 College attendance is associated with significantly higher homeownership rates regardless of debt status. Yet, student debt appears to dampen homeownership rates among those with the same level of education. College attendance appears to mitigate the impact of economic background on homeownership rates. 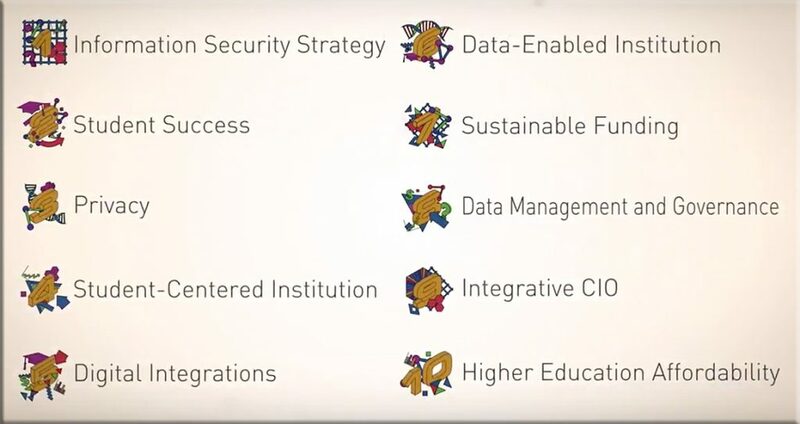 What will be the most important technology to change higher education? In our view, it’s not big data, the social web, MOOCs, virtual reality, or even artificial intelligence. We see these as components of something new, all enabled and transformed by an emerging technology called the blockchain. OK, it’s not the most sonorous word ever, sounding more like a college football strategy than a transformative technology. Yet, sonorous or not, the blockchain represents nothing less than the second generation of the Internet, and it holds the potential to disrupt money, business, government, and yes, higher education. The blockchain may help us change the relationships among colleges and universities and, in turn, their relationship to society. What if there was an Internet of value — a global, distributed, highly secure platform, ledger, or database where we could store and exchange things of value and where we could trust each other without powerful intermediaries? That is the blockchain. Blockchain could be a key piece of this vision. Would you buy a home without ever stepping foot in it? Thanks to virtual reality, prospective homebuyers can check out for-sale properties by viewing them through a headset — exploring faraway kitchens and bathrooms without ever leaving the couch. For those of us working on creating and renovating learning spaces, consider producing VR-based pieces for your donors to check out. It could really help paint the picture — the vision — of what your selected space will look like once it’s done. Very compelling visuals — and a very compelling experience. An all-campus conference with faculty and staff, whereby one of the breakout sessions was about supporting emotional resilience in our students. It was led by the head of the campus’ counseling center. She gave some data on the increased use of the counseling center over the last 4 years. Evidently, this isn’t just happening at our campus, but all over the country. Then I ran into the article below; some excerpts are listed below as well. When I’m teaching a First Year Seminar course this fall, one of the topics deals with resilience. When I’m addressing it, I want to focus on the parts highlighted in green below, and stay clear of the caution noted in red below. An additional thought on this is that today’s students are dealing with the high prices of obtaining a college degree. This means that many of them have to work to get through school. Otherwise, many of these students will come out of school with enormous debts — debts that don’t go away until they are paid up. I’m not saying that by them working the students can pay all of their expenses — that’s becoming highly unlikely these days. But it can reduce the amounts of their debts. These debts affects when students get married, when they can buy a home, when and how much they can save for retirement, and more. So the stresses are very real — and different from many of us from a different generation. We can’t just say they need to be more resilient as an entire generation. No, the job for us working within higher ed needs to be to bring the price of obtaining a degree down. Not just “no more increases.” No. Bring the costs down! We can’t expect to have an arms race in the facilities that we offer as well as in our sports programs (and though I was an athlete in college I still say this) and expect costs to go down. Technology looks to me to be our best chance of bringing costs down, while maintaining quality. I don’t have the time to expand on that perspective now, but the greater use of online learning as well as the increased use of emerging technologies that can deliver more personalized learning should help. Students often see the word as a synonym for strength, and therefore feel that lacking resilience is a sign of weakness. A professor could be saying “be more resilient” and mean that a student shouldn’t take critical comments on their work personally. But what a student hears is something like, you aren’t strong enough, or you need to man-up, or you lack backbone. Problems are often discussed with an “it was different back in my day” attitude. So if students are accessing university counselling services more, it’s because the entire student population is losing its resilience. If disability services are overstretched, the same reason is given. And when tutors are asked to provide pastoral support – historically always a part of the personal tutor role – they feel it’s because these “modern students” need extra help. Students might be asking for help earlier and for problems that they once might have kept to themselves. But to dismiss an entire generation isn’t fair. Students are coping with all sorts of factors that make their lives a challenge: the worry about tuition fee debt, an intensely competitive graduate jobs market and the pressure of social media. By recognising this, university staff can start to support their students to become more resilient. Resilience is a great concept. Learning not to be discouraged by past failings and recognising shortcomings is an extremely useful skill. Students need to be equipped to spring back from tough situations, or times when they didn’t achieve perfection – this is vitally important in universities. As support staff we need to enable students to learn the skills of resilience. We need to standardise what we mean by it. And we should never use the term when discussing mental health.